Barbie(R) Exhibit at The Children's Museum of Indianapolis Proves to Be Wildly Popular with Girls of All Ages | Mattel Inc.
EL SEGUNDO, Calif., Jul 21, 2010 (BUSINESS WIRE) -- For more than five decades, Barbie(R) doll has continued to deliver fashionable, aspirational and culturally relevant play experiences to girls of all ages. In partnership with The Children's Museum of Indianapolis, the Barbie brand introduced an immersive brand experience with Barbie(TM): The Fashion Experience, a must-visit family destination that encourages children and adults to design and have fun playing with fashion. "The reception to this exhibit has been remarkable and has exceeded our expectations," said Stephanie Cota, Senior Vice President, Barbie Marketing. 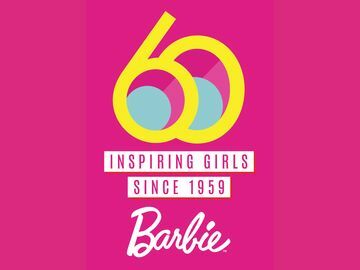 "Girls from all over the world can engage with the brand like never before through a one-of-a-kind, high-touch, high fashion experience that only Barbie can deliver." Open since December 2009, Barbie(TM): The Fashion Experience has been among the most popular exhibits at the museum. Expected to welcome more than 1 million museum visitors during the 14 months it will be open, Barbie(TM): The Fashion Experience allows families to explore the different roles involved with putting on a real life runway show and learn how fashion is a reflection of art, design, and popular culture. "Partnering with Mattel to create this much-anticipated exhibit has been a wonderful experience," said Dr. Jeffrey H. Patchen, president and CEO of The Children's Museum of Indianapolis. "Barbie has the power to spark multi-generational conversations encouraging families to spend time together, share memories and learn about the art of collecting." Visitors can also enjoy one-of-a-kind Barbie(TM) collectibles never seen by the public and learn first-hand about the art of Barbie(R) through collecting. Barbie(TM): The Fashion Experience at the Children's Museum of Indianapolis is open until mid-February 2011. For more information about Barbie(TM): The Fashion Experience at The Children's Museum of Indianapolis, contact the museum at (800) 208-KIDS  or visit childrensmuseum.org. To learn more about Barbie(R), visit Barbie.com. Mattel, Inc. (NASDAQ: MAT, www.mattel.com) is the worldwide leader in the design, manufacture and marketing of toys and family products. The Mattel family is comprised of such best-selling brands as Barbie(R), the most popular fashion doll ever introduced, Hot Wheels(R), Matchbox(R), American Girl(R), Radica(R) and Tyco(R)R/C, as well as Fisher-Price(R) brands, including Little People(R), Power Wheels(R) and a wide array of entertainment-inspired toy lines. In 2009, Mattel is recognized among the "100 Best Corporate Citizens," as one of the "World's Most Ethical Companies" and as one of FORTUNE Magazine's "100 Best Companies to Work For." With worldwide headquarters in El Segundo, Calif., Mattel employs approximately 30,000 people in 43 countries and territories and sells products in more than 150 nations. 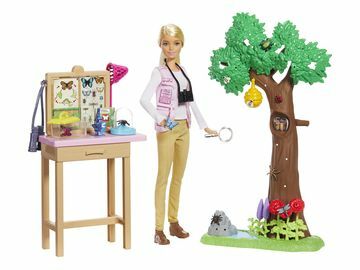 Mattel's vision is to be the world's premier toy brands--today and tomorrow. BARBIE and associated trademarks and trade dress are owned by Mattel, Inc. © 2010 Mattel, Inc. All Rights Reserved. The Children's Museum of Indianapolis is a nonprofit institution committed to creating extraordinary family learning experiences that have the power to transform the lives of children and families. The 472,900-square-foot facility houses 11 major galleries. Visitors can explore the physical and natural sciences, history, world cultures, the arts, see how dinosaurs lived 65 million years ago in Dinosphere: Now You're in Their World(R), experience Dale Chihuly's Fireworks of Glass and examine children's impact in shaping history in The Power of Children: Making a Difference. The Children's Museum, situated on 20 acres of land in Indianapolis, presents hundreds of programs and activities each year. For more information about The Children's Museum in English and Spanish, visit www.childrensmuseum.org.